NEW LOW PRICE! 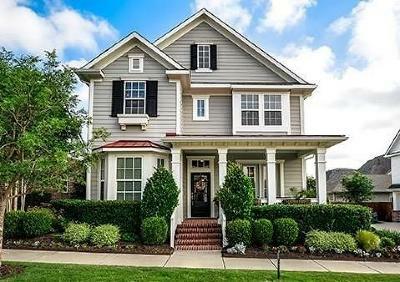 Richly appointed craftsman style home that looks as though it were lifted from the pages of a design magazine. This spectacular home showcases upgrades including wood floors & extensive molding. Study with French doors & wainscot walls. Kitchen with granite, tile back splash with decorative inlay, stainless appliances, under cab. lighting & gas cooktop. LR with a wall of windows with view of covered patio & gardens. Master down with garden tub, sep shower, granite vanity, WIC, ship lap wall & dbl doors to porch. Wood stairs lead to game room with ship lap wall & 3 bedrooms. Covered front porch surrounded by lush landscaping. Oversize air conditioned garage.Master planned community. See link.